Hong Kong Contemporary 14 is going to commence on Friday on 25/F at the Excelsior, Hong Kong! 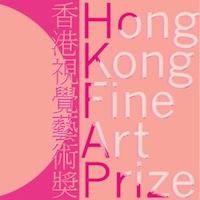 The winners of Hong Kong Fine Art Prize will be announced at the vernissage. Do come and join us in witnessing the birth of stars in Hong Kong art field while enjoying several other exciting special programmes of the fair! Thangkas are precious artworks of Tibetan Buddhism. We are honored to showcase some Thangkas from Bhutan. 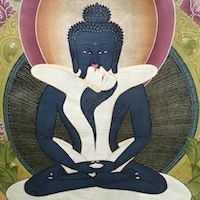 Since Karmamudrā is prohibited in Bhutan, one of Thangkas depicting Karmamudrā presented this time is a not-to-be-missed artwork. THE OTHER SOCIETY is an INTER-NATIONAL ARTIST COLLECTIVE as much as an expanding ARTISTIC UTOPIA that sends out clues and messages to the real world, to prosper. THE OTHER SOCIETY's core members are Rahman Hak-Hagir, Julia Wertheimer and Francesca Lolli. The works of THE OTHER SOCIETY will showcase in Siger Gallery during HKC14. As it has done in the last two years, the Hong Kong Fine Art Prize (formerly the Hong Kong Contemporary Art Award) offers outstanding emerging artists international exposure with art residency in Korea. Previous award-winning artists have received career advancement and cooperation opportunities with galleries; hopefully, there will be more rising stars in the Hong Kong art field. This year’s HK Fine Art Prize Finalists will be featured in this year’s edition of the Hong Kong Contemporary. Do not miss your opportunity to join the most vibrant art scene in the world!